A biogas plant is where biogas is produced, and that’s a first fact in answer to “What are Biogas Plants” for those seeking the meaning of “biogas plant” and Biogas Plant Information. Biogas is a gas mixture which is generated when organic compounds are fermented in the absence of air (anaerobic fermentation). This gas mixture is mainly made of carbon dioxide (CO2) and methane (CH4). Methane is a combustible gas, which means it can be burned. It can be used as a sustainable renewable fuel for cooking and lighting. A standard type of biogas plant used to collect biological gas has five main components: the inlet, the fermentation chamber, the gas, the gas storage bag or tank, and the outlet and the exit pipe through which the gas is removed. Organic matter such as manure (human or animal) is used to feed the plant. The process of anaerobic fermentation will then take place here, to generate biological gas (biogas). It will also produce a substrate rich in nutrients which can be used as organic fertilizer or fish feed. 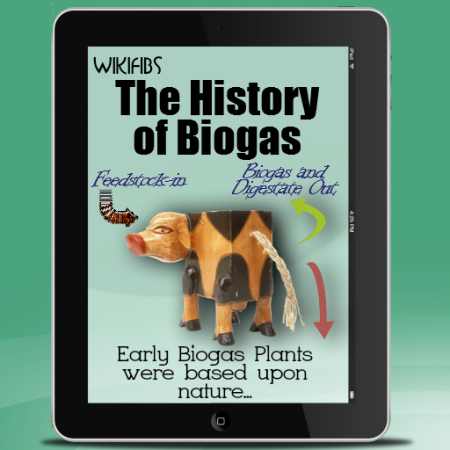 Want to provide biogas plant information to your readers. Use this meme to tell them what are biogas plants. Use this meme on your website. Watch our video on What are Biogas Plants, below. 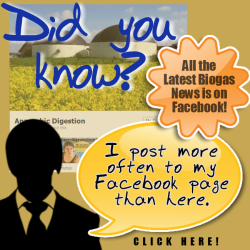 We recommend that after watching you SCROLL ON DOWN THE PAGE for more biogas plant information. The feedstock material type determines strongly the form of the plant and its operational parameters. During the operation of an industrial case plant is obligatory, according to the official European guidelines, to adapt a pre-treatment thermal stage (sanitation or pasteurization) of the waste on the whole process. In order to minimize the various disturbances which may arise by the plant’s operation, it is common practice to install the pre-treatment and the feeding equipment inside enclosed places (buildings). Because of the non-constant composition of the industrial wastewater and solid waste, those anaerobic digestion process plants requie a quite sophisticated technology. The Danish Industrialisation Fund for Developing Countries ( IFU) has been instrumental in the first industrial size, state of the art, biogas plant based on organic waste from animal farming which is to be built as soon as loan guarantees to the project in question are signed, is the Lusakert Biogas Plant (LBP). The LBP will process 220 ton per day of liquid poultry manure coming from Lusakert Pedigree Poultry Plant LLC (LPPP). The liquid manure will be processed in a 5.000m3 digester with a process temperature of 38oC. Under these conditions biogas with a methane content of around 70% is produced. The biogas drives a gas motor with a generator. The yearly electrical generating capacity is 6 GWh. Heat from the hot exhaust gas and cooling water to the gas engine is recovered. This thermal energy in the form of 90oC hot water represents another 8 GWh per year. Total energy production is therefore can amount for up 14 GWh per year. LBP thus represents the first serious renewable energy project in Armenia outside of hydro electricity. One AD project was initiated by the Danish Folkecenter for Renewable Energy, and has been financially supported with 88% from the Danish Environmental Protection Ministry. The remaining 12% has been financed by the AB VYCIA Farming Company, where the biogas plant is installed and operated. The project is intended as a pilot demonstration and education plant for Lithuania and the surrounding Baltic countries. The project has been supported by the Lithuanian Environmental Protection Ministry and Energy Agency. The Lithuanian Energy Institute along with Kaunas Energy Office contributed in assisting the project implementation. The Lithuanian Academy of Agriculture has participated in the technology transfer as well. Synergy Biogas – is an on-farm biogas facility located at the 2000 head (nominal herd size) cow Synergy Dairy in Wyoming County, NY. It takes 425 tons/day. The village of Strem in Südburgenland makes use of fallow agricultural land in the region for energy production. The process of solid-state fermentation is used to convert grass and clover together with whole maize plants into biogas. And the farmers are happy to have a new source of income. Since 2003, Strem has had a biomass heating plant with integrated district heating grid – a good starting basis for the economically feasible construction of a biogas plant. Since November 2004, “Biogas Strem Errichtungs und Betriebs GmbH & Co KG” have been operating a biogas plant with an output of 500 kWel next to the biomass plant operated by the agricultural co-operative “Öko Energie Strem”. The University of Agricultural Sciences (UAS), Bangalore, is saving Rs. 50,000 a month from its electricity bill by using the power generated from a biogas plant on its campus. The 200m3-capacity plant, which became operational recently, is generating about 300 to 320 units of electricity a day. The 20kv-biogas generator runs for 16 hours a day. Mr. Schloetterer is farmer and owner of a small farm in Bavaria, South Germany. There are about 30 cows on his farm. Additionally, he has got approximately 40 ha of farm land, of which about 12 ha is forest. For the manure of his cows and the forage from his fields he decided to build a biogas plant. Compared to other biogas plants in Germany, Mr. Schloetterer’s biogas plant is fairly small. The digester has got a volume of about 100 m³. In his old stable Mr. Schloetterer located the gas engine with an electrical power output of about 15 kW. Some pumps, measurement devices, tubes, electrical cables, and that is his plant described in a nutshell. What are biogas plants good for? They are good for diversify small farms to produce renewable energy, in this example. Mr. Kraft has a large farm with about 800 cattle. Additionally, he has got extensive areas of field and a distillery. A lot of fat and the distillery residues are digested together with the manure from his animals in his biogas plant. There are several companies that deliver these fats to the biogas plant. Fats deliver much biogas with high methane concentrations. Therefore, all owners of biogas plants appreciate digesting fats within their plants. This is called co-fermentation. 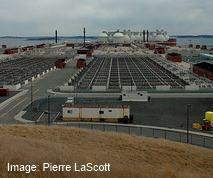 Mr. Kraft’s biogas plant has a digester with a volume of 800 m³. In the foundation there is a heating unit that keeps the temperature inside the digester at approximately 35deg C. Around the digester there is another concrete ring. The space between digester and ring is used as a storage tank for digested manure, volume 1,000 m³. In this manner, the digester has perfect insulation. Only the parts of the digester above the outside ring had to be insulated. Beneath the roof of the digester there is a gas storage membrane. So, what are biogas plants good for? They are good for digesting fats at Kraft! So far, biogas plants have often built with open residue storage, to reduce the necessary investment costs. This was also true for the biogas plant of the CPM Biogas GmbH in Hessian Nidderau-Ostheim, which went on line in 2006. During an ongoing discussion in the biogas community during the last years about how to optimize the energy yield of a biogas plant and how to reduce the emission of biogas, the awareness has developed, that roofing the residue storage has two benefits: avoiding harmful emission and running a biogas plant more profitable by capturing and using additonal 5% of the biogas yield. A biogas plant has been completed in Nidderau, as one of the most profitable and reliable operating plant in Germany, Greencon was commissioned to plan the roofing of the residue storage and to add a biomethane gas purification unit with higher performance by using an activated carbon filter. Due to that unit and to an additionally installed oxidation catalyst for the CHP engines the exhaust gas emission could be reduced and especially the cancer-causing formaldehyde could be reduced to less than 40 mg/m. Borregaard has been awarded NOK 30 million from Enova to build a new plant that will both clean waste flows from industrial processes and produce biogas. “Renewable energy production is an important area for the governments to focus on… All industrial operators should examine their own energy consumption to ensure that energy is used efficiently and that the opportunities to use renewable energy are exploited,” said Ola Borten Moe, the Minister of Petroleum and Energy, recently. Installing a biogas plant for the disposal of crop residues is much better than setting light to them. Burning of crop residues leads to the release of several atmospheric pollutants such as aerosols, suspended particulates, SOx and NOx and in some cases dioxins and furans. Further, burning of the standing crop also leads to volatilization of the soil nutrients, decreasing soil fertility. Dung cakes are extremely popular for cooking purposes in rural areas. Unfortunately, the burning of dung cakes leads to toxic emissions in the form of SPMs, PAHs and CO. Studies relate cow dung cake burning with cases of tuberculosis, lung cancer etc. Thus, the external costs (environmental damage, soil damage, health damage) associated with the traditional methods are enormous. Using a biogas plant produces no such problems. Zorg Biogas Group has been executing full range of engineering services for biogas in 12 countries since 2007. Their engineering bureau has designed, procured or constructed more then 40 biogas plants. Before biogas industry since 70th Zorg Biogas’s engineers have been participating in gigantic projects: several thousands MW hydro power electric stations, city waste water treatment plants, huge dams. Starting from secretary to CEO everybody out of 50 people team has diploma of engineer. An industrial biogas plant was recently launched in the Belgorod Region in Central Russia. According to the project planning company LLC Engineering Center “Progress”, the new station “Baytsury” is one of the first large scale industrial plants in Russia. The plant is owned by the Regional Centre for Biotechnology, one of Russia’s largest companies, specialising in projects in the field of biogas energy. What are biogas plants good for? They are good for providing much needed renewable energy in Russia, in this example. At the beginning of 2012, the German biogas plant manufacturer Weltec Biopower began the construction of a 526 kW biogas plant in France. What are biogas plants good for? They are good for pig slurry treatment in this example. The fermentation substrates to be used for energy production will be pig slurry, waste from the food industry, renewable plant resources and intertillage crops. The heat produced by the biogas plant will be used to dry the material remaining from the fermentation process and to heat the pig buildings 60 m away. With heat utilisation of 70 % (without fermenter heating) the CHP bonus in France is 4 cents per kWh, so that the feed-in tariff for a 500 kW plant amounts to 17 cents. In France the feed in legislation ensures that the state buys electricity from biogas plants at a guaranteed price for 15 years. So, what are biogas plants good for? They are good for a guaranteed price for 15 year! Nepal is operating the so called GGC-2047 biogas plant design for over 20 years. NBPA took on the challenge to improve this well proofed design. To foster the implementation within the Nepalese context, NIBP orients towards the BSP standard design, improving some critical points. The NIB plant is designed to address the short comings of the current GGC-2047 plant design. The R&D activities of NBPA are focusing on the evaluation of usability, performance, price and durability of this new plant design. What are biogas plants good for? They are good for NIBP in this example. The NIBP can be introduced in the rural- and the institutional market. Its design is much more flexible in terms of space requirements and plant placement than the current system. The NIBP is designed for more performance (gas production), and for better usability. Mervin: It looks OK to me. Increasing energy prices, more comprehensive regulatory demands, and enhanced competitors in the marketplace are causing lots of in American farming’s livestock sector to consider anaerobic digestion of animal waste for power production by means of biogas. Thank you so much for giving information about what is biogas plant how it works and uses it. I’m compiling my research for a new article for my blog. I’ve had a good look at your page here, and was having some problems along the way. Not any more! This page is very comprehensive. Thanks. I’ll talk more about my article at a later date. This is the video ever about bio gas digester, kudos to you.﻿ I AM realy impressed. I AM a RURAL person with civil engineering back ground.